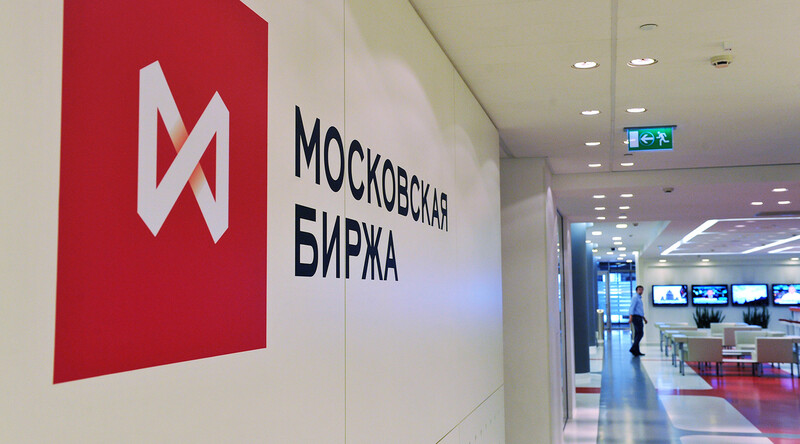 Next year, the Russian Ministry of Finance expects to place federal loan bonds (OFZ) in RMB. The first issue of OFZ in Chinese currency was prepared in 2016 in the amount of $ 1 billion, but was postponed to a later date. Experts note that the successful placement of public debt will help increase the inflow of investments from China, minimize currency risks and take a course on de-dollarization of the Russian economy. The Russian Ministry of Finance expects to place federal loan bonds (OFZ) in RMB as early as 2019. This was announced on Thursday, December 6, the head of the department of public debt of the Ministry of Finance Konstantin Vyshkovsky. “For OFZ in RMB, we expect that the project will finally take place next year. We are not reducing the pace of cooperation with our Chinese colleagues on this issue and are actively working on placing OFZs in yuan, ”Vyshkovsky quotes TASS. Earlier, Deputy Finance Minister Sergei Storchak said that the issue of yuan-denominated bonds remains a guideline for the Ministry of Finance. However, the deputy head of department also stressed that the Ministry of Finance does not yet have a clear understanding of whether the Chinese authorities will allow their investors to buy yuan OFZs placed on the Moscow Exchange. According to Storchak, the Ministry of Finance requested detailed information about the reform, which was announced in China in April - May 2018 in the area of ​​debt market regulation. Recall that the pilot placement of Russian OFZs in RMB on Moscow was prepared in 2016. Then it was about the amount equivalent to $ 1 billion. However, the issue of securities was postponed to a later date. In December 2017, Finance Minister Anton Siluanov said that the ministry, together with the Central Bank, had held talks with the Chinese side and reached an agreement on the possibility of buying Russian bonds in RMB by the domestic investors from the PRC. Chief Analyst at BCS Premier, Anton Pokatovich, believes that the success of the OFZ placement in 2019 will depend on Beijing’s position. “Since 2016, when we first talk about such placements, the Chinese authorities continue to limit themselves to various memorandums regarding investments in Russia, while the real flow of funds from China to the Russian economy does not increase. The statistics of the Central Bank says this - in the first half of 2018, China’s direct investment in Russia decreased by 23.9% to about $ 3.2 billion, ”commented RT on the situation with OFZs in RMB Anton Pokatovich. EXANTE analyst Victor Argonov believes that China is in no hurry to invest in Russian assets because of the reluctance to quarrel with the United States. “Formally, China does not impose sanctions against Russia, but its banking industry conducts itself in accordance with the rules of Washington. I would venture to suggest that the prospect of improving relations with the United States could seriously affect the placement in yuan, forcing Chinese companies to stand aside, ”Argons did not rule out in a conversation with RT. In turn, Alexey Maslov, head of the HSE School of Oriental Studies, believes that the placement will take place, albeit in a smaller volume than previously thought. “I would reduce the declared 6 billion yuan (approximately $ 1 billion) three times. I think the amount of 2 billion yuan would have been a great success. I believe that, in general, the placement will be a political gesture rather than an economic one, ”said Maslov in an interview with RT. Chinese investors are not very active on the Russian stock market yet. At the same time, Moscow Exchange expects capital inflows from the PRC. This was announced in November by Igor Marich, Managing Director for the Money and Derivatives Market of Mosbirzhi. According to him, the trade war with the United States and the change in relations with the West are pushing China to take a fresh look at the potential of Russia. Igor Marich said that the volume of trading on the Moscow Stock Exchange for transactions with a pair of yuan-ruble in January — October 2018 increased two and a half times - up to 943 billion rubles against the background of the intensification of Russian-Chinese trade. “This is a consequence of the increase in mutual trade. If last year we traded with China for $ 89 billion, this year we will reach $ 105–110 billion. Of course, this is reflected in operations with the yuan, ”said Alexey Maslov. The expert notes that it may be profitable for China to enter the Russian stock market, since today, like the Russian industry, it is significantly undervalued. “For Russia, borrowing in RMB can play a very important role. If this placement is officially implemented, then Chinese investors will de facto receive a go-ahead from the state that the process of investing in Russian assets has ceased to be “toxic”. In this case, it can be assumed that Chinese investments will become a serious alternative to Western sources of funding, ”says Pokatovich. Experts note that one of the risks of Russia when placing OFZs in RMB may be the lack of stability of the Chinese currency, which has recently been under pressure. So, if at the beginning of February the US dollar was worth about 6.3 yuan, now it is about 6.9 yuan. “The problem is that the stability of the yuan is ensured by the stability of the Chinese economy, which is now showing a slowdown trend. Especially, given the tariff war with the United States, it is obvious that the Chinese market will start to fever, ”says Alexey Maslov. At the same time, Natalya Milchakova, deputy director of the Alpari analytical department, recalls that the yuan was included in the IMF's reserve currency basket, which means you can keep stocks in it. On November 27, the Russian Ministry of Finance placed seven-year bonds worth € 1 billion. For the first time since 2013, securities have been denominated in euros. Most of the new Eurobond issue of the Ministry of Finance was bought by investors from the UK. This was previously reported by the head of the debt capital markets department at VTB Capital, Andrei Solovyov. Anton Pokatovich believes that the placement of the debt, both in euros and in RMB, is proceeding at the general rate of de-dollarization of the Russian economy. “The choice of the euro and the yuan may well be considered a choice under the de-dollarization plan of the economy. The currencies of these placements have been chosen to test the demand from investors abroad, who avoid currency risks due to fluctuations in the ruble, ”concluded Viktor Argonov.